The other half likes lupins, so in order to make the gradual conversion of grass into border more palatable, I’ve planted several of the Gallery hybrids, which are a smaller version of the original lupin species. We’ve had several colours and there’s one area where we have a stand of pink that have come into flower this year. If you look closely you might just see an allium masquerading in the background. 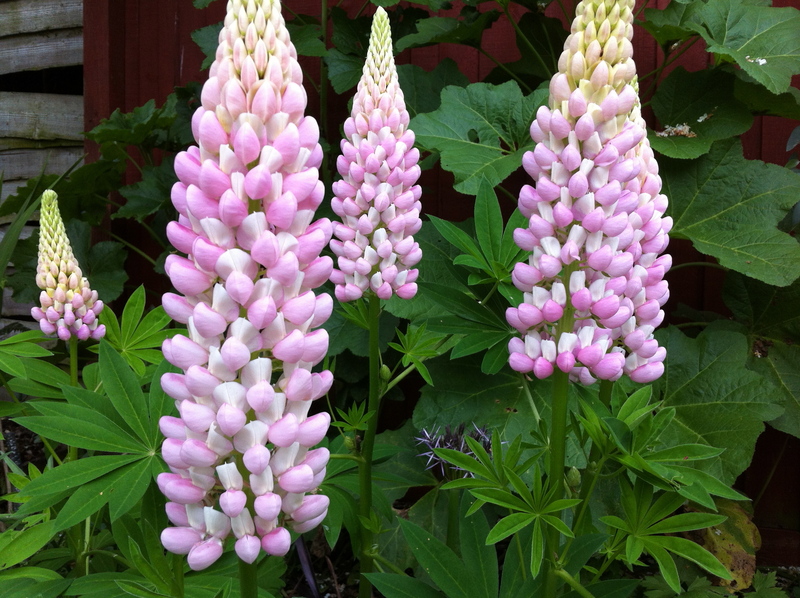 The lupin flowers look like some sort of soft marshmallow candy on a stick that you could just pick off one by one and eat. They do look lovely. There are a few other colours elsewhere and since they’re all raised from seed, I never know what colour I’m going to get where – that’s all apart of the fun.